Sarah Mackenzie Podcast: Girls' Club Series! I love Sarah Mackenzie. Sarah Mackenzie is familiar to many of you as the passionate, delightful leader of Read-Aloud Revival. We share the passion for books, life and so much more. I so enjoy Sarah’s heart for her family as well as reading, and we had such a sweet time talking today! Sarah is an author herself, and lives in the Inland Northwest with her husband Andrew, where they homeschool their six kids (including identical twin boys). And she’s been so kind as to offer one of our readers a copy of her book, The Read-Aloud Family—plus a second copy for a friend! Be sure to go to my Instagram page to tag a friend in a comment and enter. Sarah also has a wonderful podcast: Read-Aloud Revival. And you can find her on Instagram, too! Find your own copy of Girls’ Club, here! 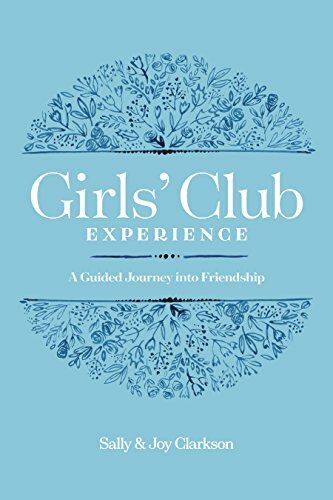 Newer PostLara Casey Podcast: Girls' Club Book Series! Older PostWhat About Boy's Club with Ruth Chou Simons (Gracelaced) & Podcast: Girls' Club Series!